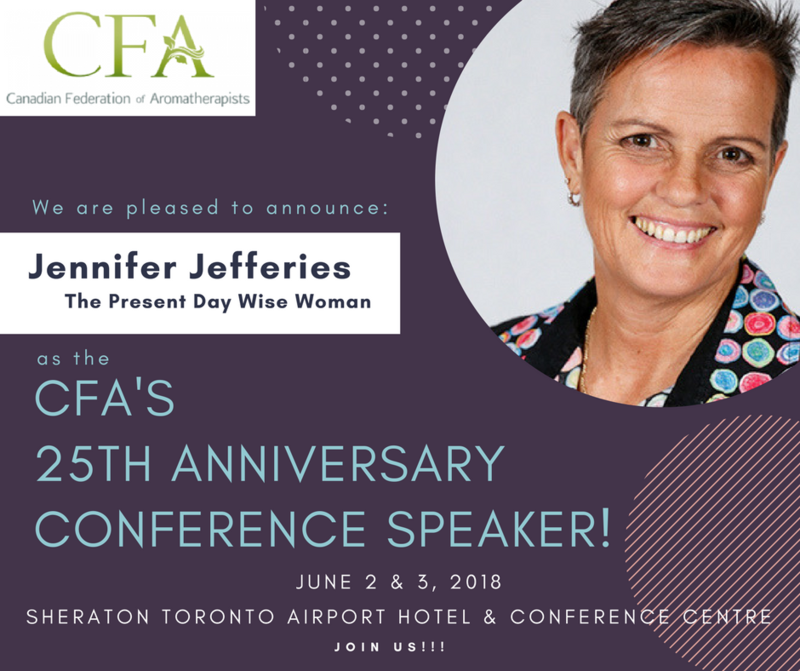 Join us Saturday June 2nd and Sunday June 3rd for the 25th Anniversary Conference and AGM for the Canadian Federation of Aromatherapists! The Aromatherapy Insight Cards are a practical tool to help you tap into your intuition, develop your emotional awareness and increase your knowledge base as you learn the subtle uses for aromatherapy. The cards are a useful tool in assisting your essential oil selection based on your clients needs while maintaining your client’s privacy. Intrigued? You should be. This fun and engaging class will have you amazed with its revelations. The purpose of life isn’t just to live, but to thrive Jennifer Jefferies is The Present Day Wise Woman, one of Australia’s most respected authors and speakers in the area of health and wellbeing, working closely with some of the world’s most well known brands to restore work life balance and minimize presenteeism and absenteeism in their organizations. Experiencing corporate burnout at 27 after a car accident, Jennifer got the wakeup call she needed to realize there is more to life than just having a successful career, and good health was the foundation to build it on. Turning away from her pharmaceutical management career Jennifer became a passionate naturopath, and for more than 25 years has helped countless individuals improve their lives so they can live their dreams, enjoy life and give back. Subscribing to the philosophy that wealth and success mean nothing without your health, Jennifer authored the 7 Steps to Sanity and thirteen other health-related titles, sharing practical real-life strategies to help teams and individuals improve their health, wellbeing and productivity by finding balance in their lives. Self described as a psychedelic, peace and brown rice loving hippie and a passionate, adventurous traveler, when Jennifer isn’t writing or speaking, she is working towards her goal of owning a complete set of Lonely Planet books, purchasing them only once she has traveled to each place.